I will give the developer TR8 Torus Studios points for being weird and unique here, with Godly Corp having you manage an office with a long tentacle. I will admit some of it was quite amusing but it sadly didn't hold my attention for too long. The tentacle mechanics can be interesting but as a game, it just feels weird. It's an experience that will firmly test your patience as you wiggle your tentacle around and do various tasks assigned to you within a time limit and that's pretty much all there is to it. Find Godly Corp on Steam. Octodad comes to mind. Cthulhudad? Amusing concept, though I wonder if this holds up beyond the initial encounter. 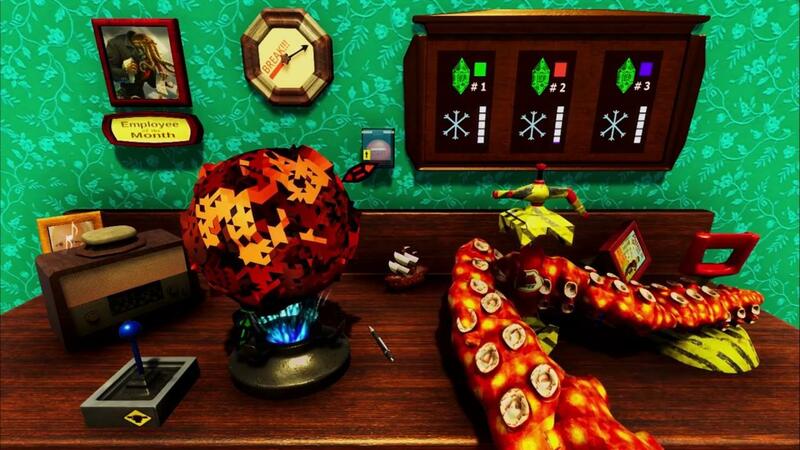 axredneck Octodad meets Surgeon Simulator?